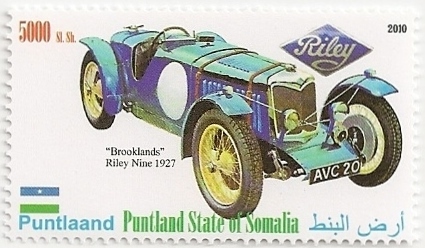 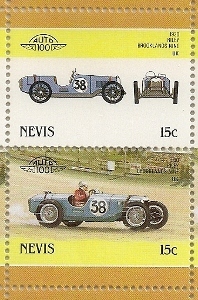 Below - A pair of stamps from a sheet of 20 showing a 1950 Riley RM. 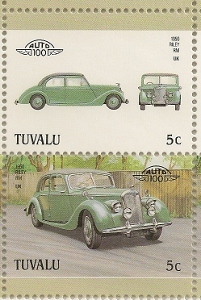 For info on Tuvalu, a very small Pacific island click here :- tuvalu. 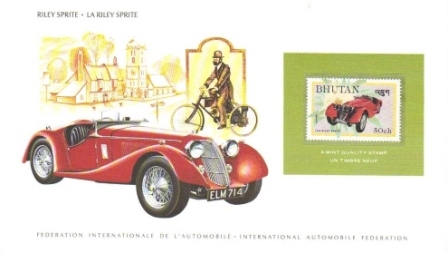 competition were the very raison o'etre for the Riley marque. 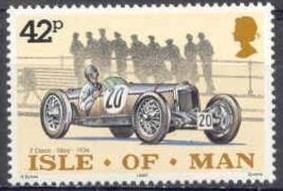 stretch and a distance of 511 miles covered in only six hours. 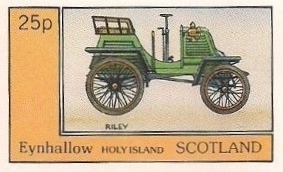 basis of all Riley engine designs until 1957.
gage compartment-unusual for a sports car of the day. 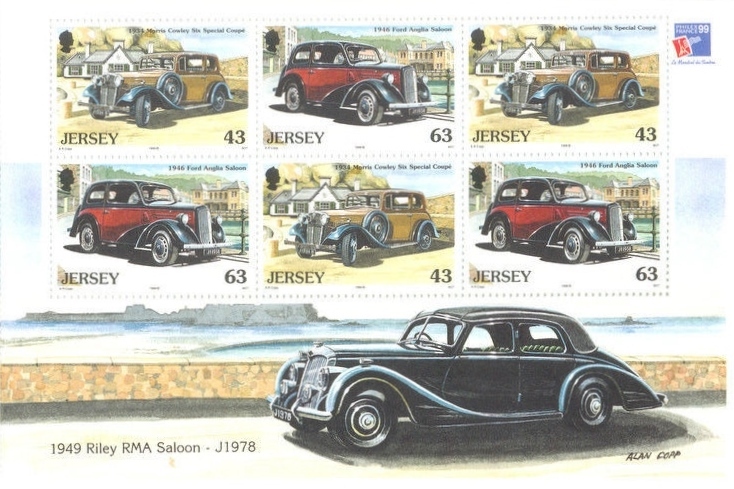 Below - A Jersey mini sheet of 6 stamps with a Riley RMA printed on the sheet. 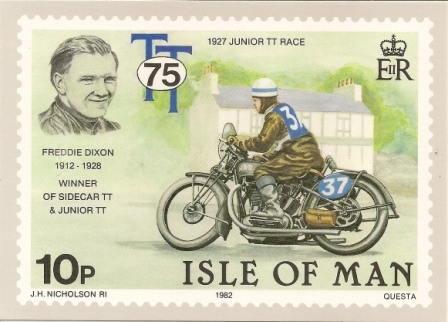 A vintage 12th July 1933 video of Freddie Dixon winning the Isle of Man "round the houses" / Manin Beg race driving No.7 his Riley special is available to view and buy here :- Video , stills from the video are also available.